Posted on: October 20, 2017 By: Christopher Brown, Esq. In this day and age, cell phones are everywhere—including the car. In fact, 95 percent of Americans now own a cell phone of some kind. In Virginia, anyone under 18 years old is banned from using cell phones and other mobile devices while driving. Texting while driving is also banned for drivers of all ages. If you’re a driver in Virginia and have been charged for a cell phone infraction, it’s important to learn and comprehend Virginia cell phone laws to gain a better understanding of where you stand. 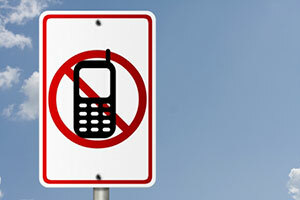 There are currently no cell phone prohibitions for Virginia drivers who are 18 years or older. This means that you are allowed to use your cell phone, handheld or hands-free, while driving to perform all activities with the exception of texting. Drivers under age 18 cannot use cell phones while driving for any reason. A new Virginia law passed in July 2016 clarified that this prohibition includes the use of hands-free devices, such as Bluetooth. Teens are permitted to use a cell phone to report an emergency while behind the wheel. However, the vehicle must be stopped or parked. There are a few exceptions to distracted driver laws in Virginia. A driver who is stopped or parked is permitted to use their cell phone for personal reasons. Drivers who are operating an emergency vehicle can also use cell phones if involved in their scope of employment. Drivers may also use their cell phone to navigate via GPS systems. Adults 18 years or older are allowed to report an emergency while driving. However, it’s important to avoid cell phone and other electronic use while driving unless it is a true emergency for the safety of yourself and those around you. Texting while driving has become a major problem in the state, especially in cities across Northern Virginia. Fairfax County had the most convictions of any location in Virginia in 2015. In Virginia, all drivers are prohibited from texting while driving. The law describes texting as the act of looking at, typing, or using voice command to send or receive emails or text messages of any kind. There are some exceptions to the rule. For adults 18 years and older, the law is not violated if you are using your phone to read a name or number stored in the device, are using your phone while stopped or parked, are using GPS, are reporting an emergency, or are an operator of an emergency vehicle and are using your cell phone to perform your official duties. It can be difficult to convict a driver of texting while driving, as it’s not always clear what purposes a driver was using a cell phone for. To convict a Virginia driver, the Commonwealth must prove that the offender did in fact operate a motor vehicle on the highways within the Commonwealth while using a handheld mobile device to read an email or text message that has been transmitted to the device or stored within the device, or manually enter text or multiple letters into the device as a means to communicate with another person. If you are suspected of using a cell phone for texting while driving, an officer has the legal right to pull you over. For drivers over age 18, breaking a cell phone law is considered a secondary offense. Drivers under 18 may be facing a primary offense if pulled over for a cell phone infraction. A primary offense means that an officer can pull you over for just a cell phone offense and no other reason. A secondary offense means that an officer can only pull you over and issue a ticket if the officer saw you commit another violation. Certain individuals are also banned from cell phone use while driving, including school bus drivers. Like novice drivers, school bus drivers are banned from all cell phone use while driving. However, unlike novice drivers, school bus drivers caught using a cell phone while behind the wheel face primary enforcement. Commercial motor vehicle drivers are also prohibited from reaching for a cell phone while driving or pushing more than one button to make a call. Truck drivers caught holding a mobile device while driving may encounter stiff penalties as a result. Certain cell phone functions while driving are considered traffic infractions in the eyes of the law. If convicted of these infractions, you may be facing various penalties. Under Virginia Code §46.2-1078.1, a first defense is punishable by a fine of $125. A second offense or subsequent offense are punishable by $125 doubled, meaning a $250 fine. If you are convicted of texting while driving in Virginia, you may also experience DMV demerit points. If you are convicted of any form of reckless driving while texting, you will be required to pay a mandatory minimum fine of $250, even if the reckless driving and texting violation was your first offense. As a Virginia driver, you have the option to pre-pay your traffic ticket and avoid having to come to court. However, remember that paying your traffic ticket is the same as pleading guilty in the eyes of the court. Doing so could result in a guilty conviction on your driving record. If you ever experience a second offense, you could face higher mandatory fines and other penalties. In Virginia, the first distracted driving laws were passed in 2009. These laws made texting while driving illegal. However, this ban resulted in secondary enforcement, meaning an officer needed another reason to pull a person over, such as a different traffic violation. In 2013, the laws became tougher by making texting while driving a primary offense and prohibited to all drivers in the state. Virginia cell phone laws now carry significantly higher fines. If you have been charged with a cell phone while driving infraction, you may still have options. Contact The Brown Firm PLLC today for a free consultation.